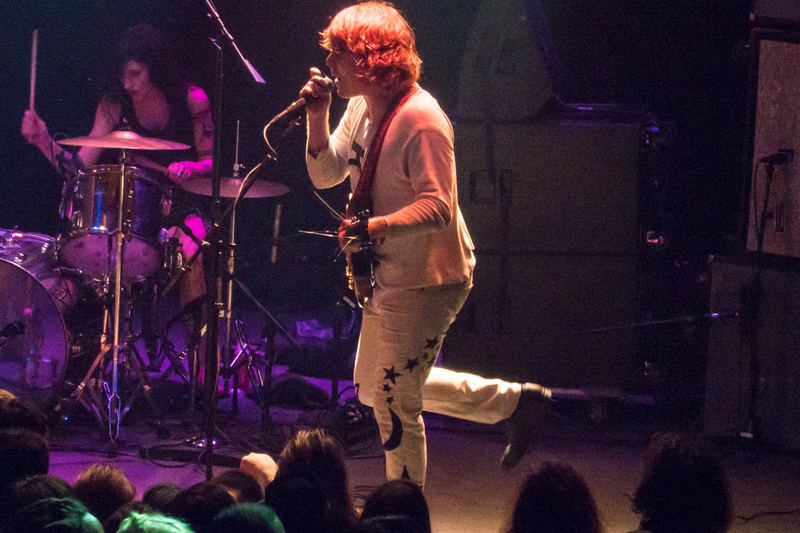 Last night at D.C.’s 930 Club, Ty Segall showed that the best songs on his new double album, Manipulator, are so many and strong that he can go for a 45-minute stretch before dipping into his glorious back catalogue. Beginning with the title track and ripping through “It’s Over,” “Feel,” and an electrified — and electrifying — version of “Green Belly,” it’s no wonder the audience took to lemming-like launches into the waiting arms of their sturdy compatriots, who passed them around the venerable club like so many sacks of ecstatic jute. For the better part of the decade, Ty Segall has been a one-man tent revival preaching real rock’n’roll, jacked into the absurdly varied electrical circuit that brought us garage rock, psyche, metal and the Beatles, a melodic and propulsive reminder of what the genre, as it dies, once was capable of. And now he is hitting a city near you, toting his most commercially viable album ever, and putting on shows which, if last night is the par example, remind us all of what once was, and what still can be. 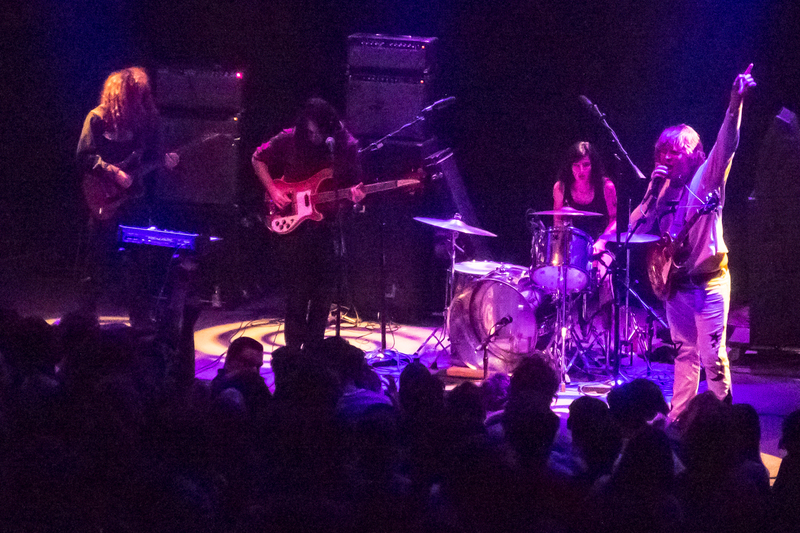 When we say he’s been a one-man band, in the studio it’s true; as alway when playing live, longtime sidekicks Mikal Cronin, Charlie Moothart, and Emily Epstein prove they can kick forward and back too, an undulating mass of throbbing gristle and Twisted Sister hair playing the best punk rock on the planet. Readers who grant us the Talmudic inspection our writing deserves will know that while we believe Manipulator has a boodle of boss tracks on it, its overt play to get Black Keys-like radio love — by subverting, with the addition of newfound R&B riffs, Ty’s strong suit in melodic hard rock with punk’n’metal overtones — left us wondering if the delivery of what we once had wished for — the boy producing a solid slab o’ commercial potential — was a deviation from what we most enjoyed about this latest Savior of Rock’n’Roll. But last night was the clincher: the album is truly worthy. We’ve long predicted he had a future on the stage at the Verizon Center, and maybe this is the last time we will see him in a club the size of 930. But honestly, why — money aside — would you want to play Verizon, where they get huffy about crowd surfing, when you can fall back on the audience and they will carry you for a moment before gently returning you right back to the stage? 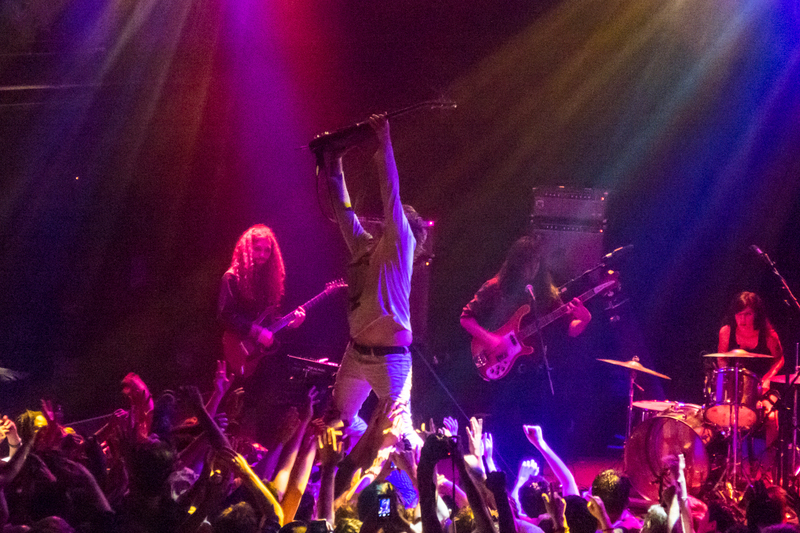 We were happy to hear the songs from his best album, Twins, and the songs from The Ty Segall Band’s Slaughterhouse were a reminder of a previous moment when it took the live set to reveal how great the album was. When we stepped out into the street, we felt like we’d survived the mayhem Ty unleashes. Mayhem and ear-to-ear grins. Hell, our ears were grinning too. 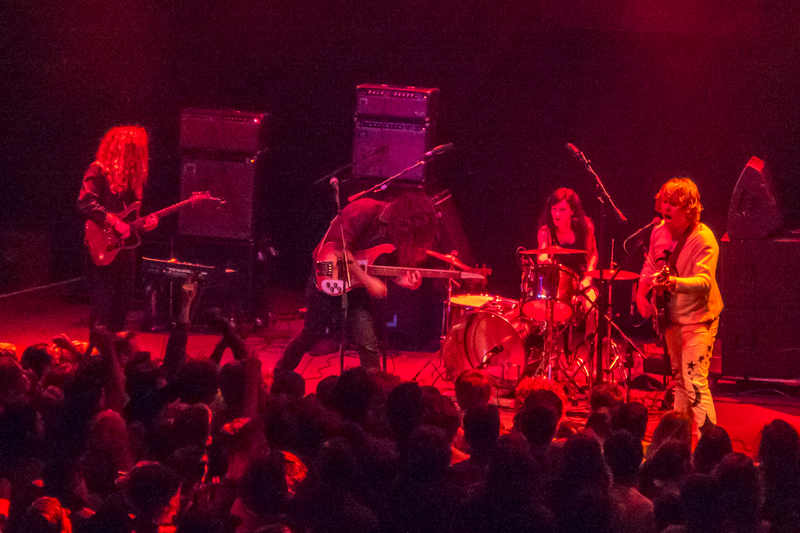 This entry was posted on September 16, 2014 at 12:18 pm and is filed under Music with tags 930 Club, Ty Segall. You can follow any responses to this entry through the RSS 2.0 feed. You can leave a response, or trackback from your own site.